When I was small, I was probably six or seven, we went to my grandparents´ house. My grandma was at the table in the kitchen and kneading some white stuff. I asked, "What are you doing?" She answered but it wasn´t a word I knew. Then she told me to help her. She gave me some chunk of that white thing and told me to make shapes. It was like the clay I played with at the nursery school. I immediately started making a snake, a person or flowers. That was Shiratama (白玉), which I found out much later. It was very fun to make although I didn´t like the taste of it. 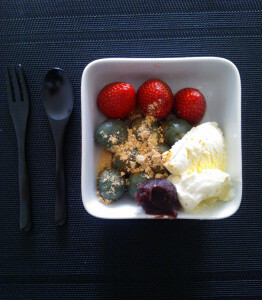 In my house, I wasn´t allowed to eat any sugar stuff. Perhaps once in two or three weeks, my father would give me a small piece of chocolate with nuts in it. I had so little access to sweet thing, once I came home from the nursery, found a bottle of cough syrup in a cupboard and drank it all. Just because I remembered it was sweet. A little after my father came home and found me on the floor completely drunk, which made him giggle after so many years. But this is another story. 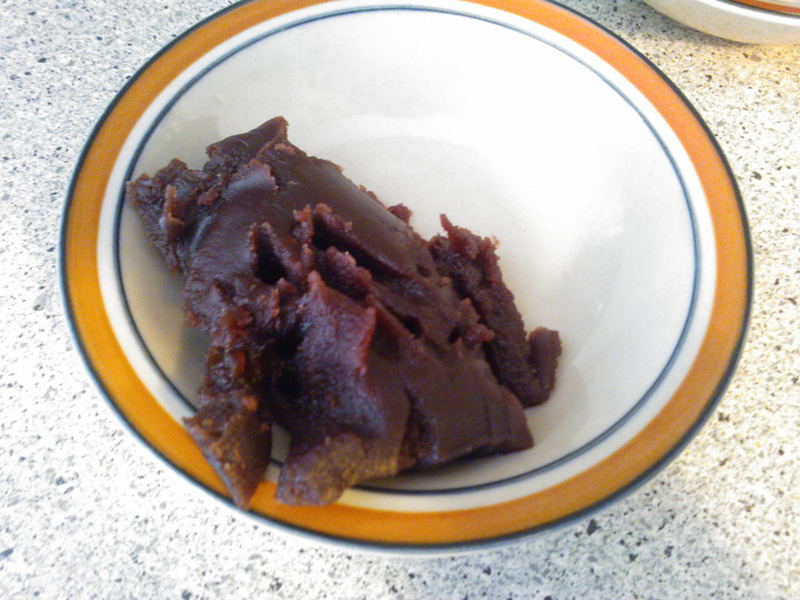 Anyway, as a child I didn´t like so much sweet taste and even now I prefer dark chocolate than Anko paste. 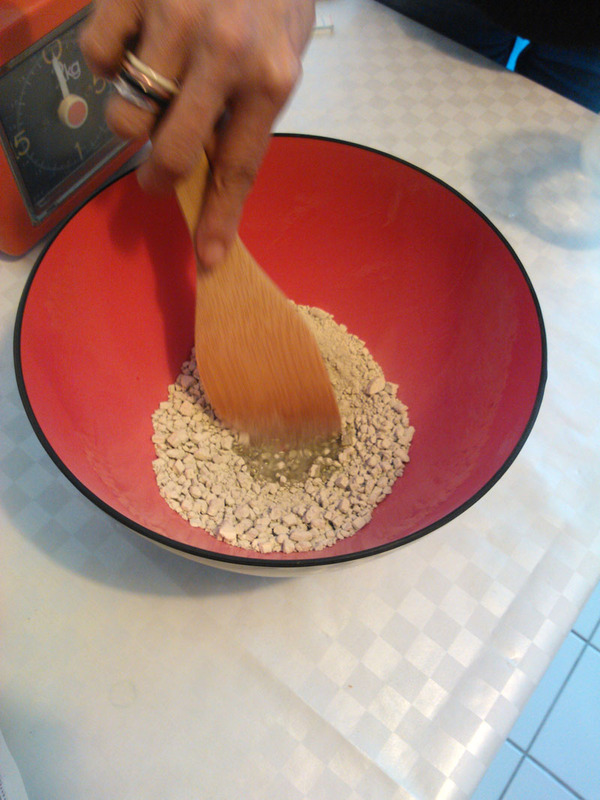 But the other day, I was at a friend´s house and she had just got a pack of Shiratama powder. We decided to make together. Shiratama is similar to mochi but just it doesn´t stretch like mochi does. Still it has a little chewy texture. 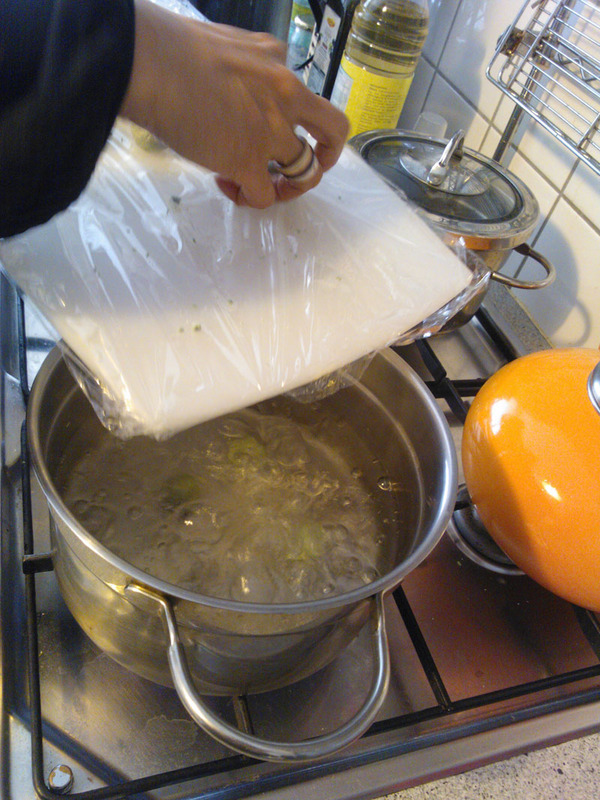 It´s easy to make. 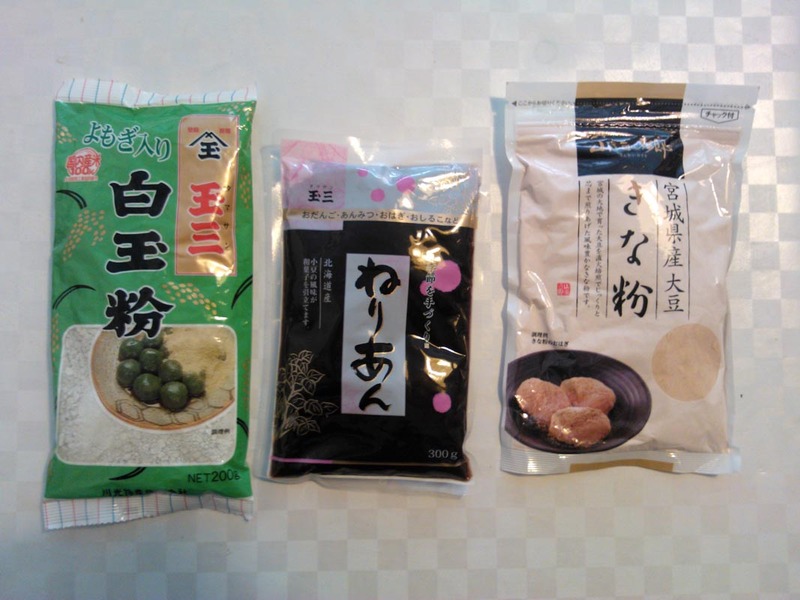 If you have a chance to get shiratama flour, try once. 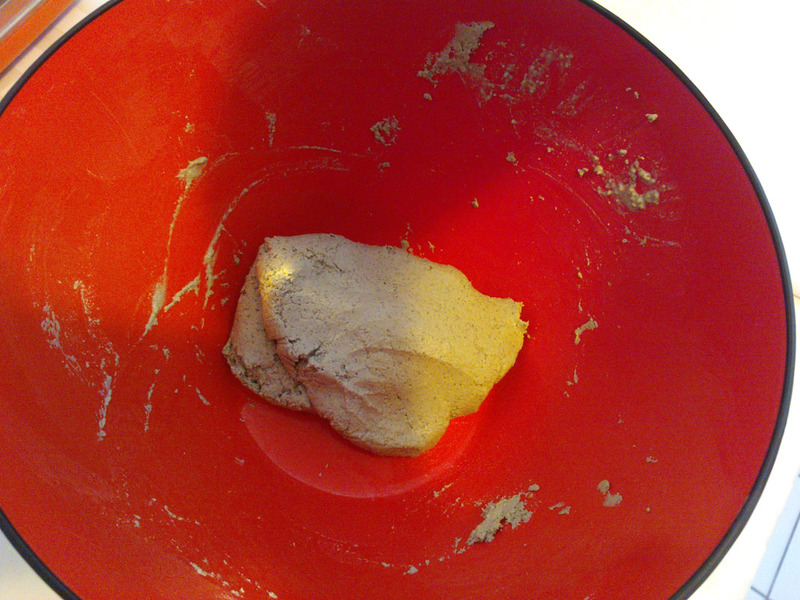 Shiratama powder, nerian (練り餡/ anko paste), kinako (きな粉/ roasted soybean flour). 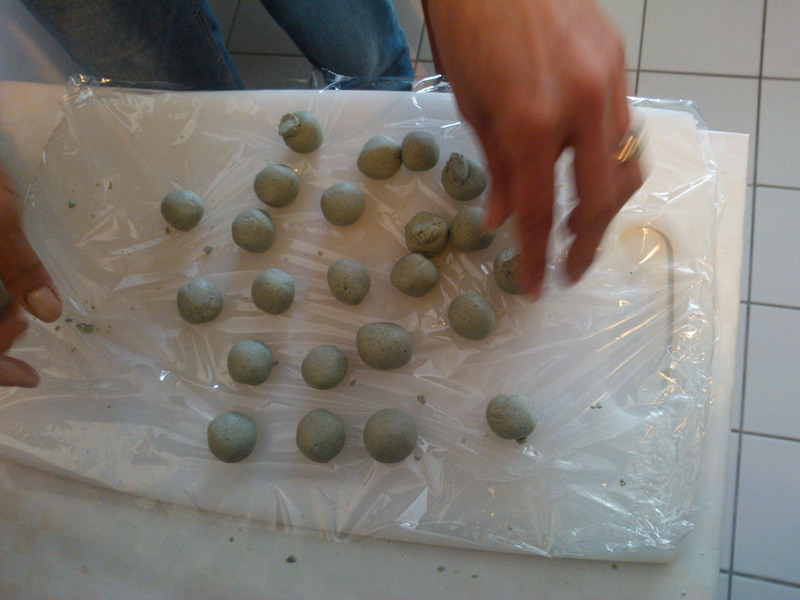 This time we used shiratama powder contains yomogi (よもぎ/ Japanese mugwort) and that´s why it´s green. First, mix the flour with water. For two people we used 150g of flour and about 100ml of water. Don´t pour the water all at once but little by little while you mix them well until the dough becomes smooth and as hard as the earlobe. 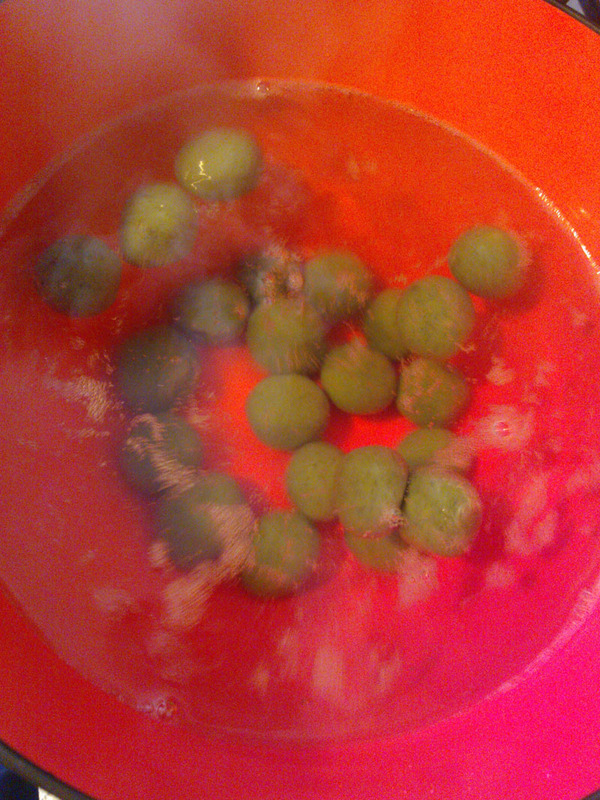 When it´s mixed well, it looks like this. Just like pasta or biscuit dough. I was told off by my friend by making huge balls. I´m so used to cook for huge guys in the last few years. 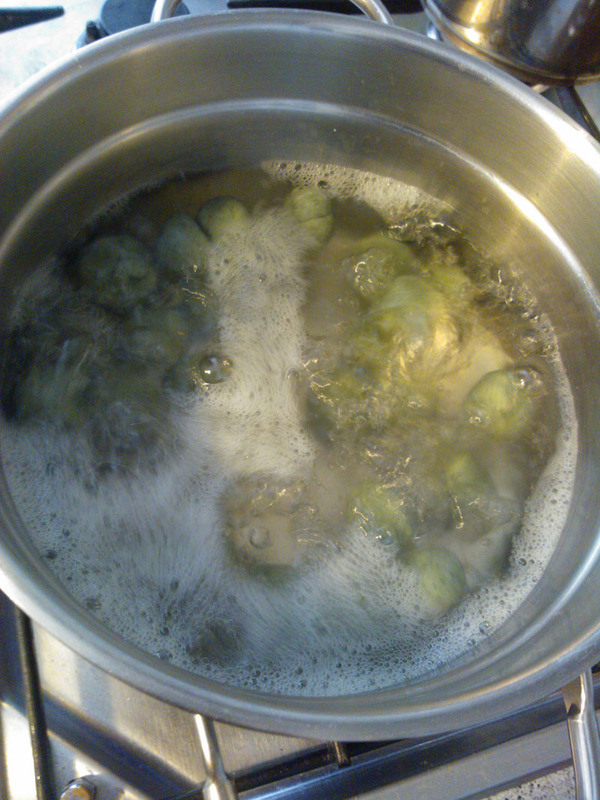 Cook them in the boiling water. They do look like gnocchi. When they started coming up to the surface of the water, then time exactly one minute. Exactly one minute after, take them out and place them in the cold water. We didn´t have them but if you do, even better with ice. Leave them until shiratama gets cool down. 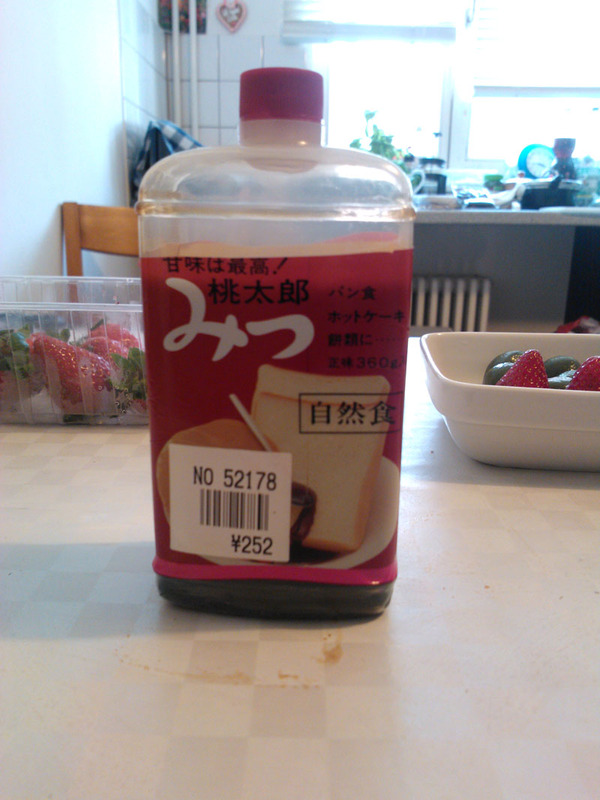 And syrup (mitsu/ 蜜). If you can´t find it, maple syrup may do. Tataaan! Yomogi shiratama is done! 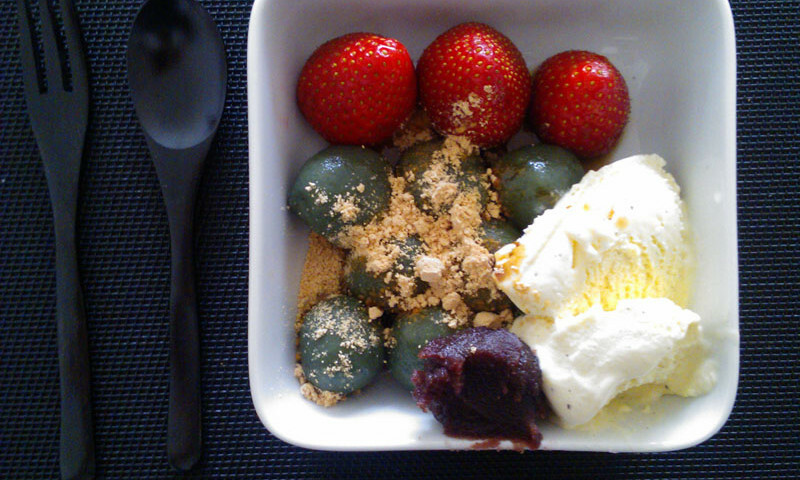 We also added some strawberries and vanilla ice cream.